The season was that of 1998. Kansas State was rising up in the polls throughout the year. They defeated mighty Nebraska (yes, the Cornhuskers were still very vaunted then) for the first time in three decades. The Wildcats went undefeated for the regular season, and were poised, at the No. 2 national ranking, to go to the first ever championship game of the Bowl Championship Series, which that year would be the Fiesta Bowl. Kansas State’s only hurdle to clear to make that coveted berth was the Big XII Championship game, in which they were naturally favored. Yet underdog Texas A&M had other plans, and managed to upset K-State that game. Gone were the Wildcats’ national championship hopes, but it was worse than that: other teams had already secured major bowl slots, so K-State was demoted all the way down to the Alamo Bowl. Coincidentally, they would play Purdue, which was the team I was on as a freshman staff member. We were happy to be there: Kansas State, however, was disappointed to be there. Come game time (Dec. 29, 1998), it showed. Even though the Wildcats were still ranked at a feared No. 4 while we were unranked, we nevertheless led them throughout most of the game. Despite a late 4th-quarter touchdown that put them temporarily in the lead, we answered by marching right down the field for a game-winning score with only about a minute remaining. On paper, K-State should have beaten us by at least two touchdowns. But the final, actual score said otherwise. Why? Though, the Wildcats were clearly the better team on paper, we wanted to be there more than they did, and by a considerable margin. The Utes are the higher-ranked team. At one point they were ranked as highly as No. 3 in the nation. Surely they must have had higher bowl aspirations. On the other hand, the Cougars are dealing with coaching turmoil since their head coach, Bronco Mendenhall, just bolted for the Virginia job. My conclusion is to therefore not out-think things, and go with the odds, which slightly favor the Utes. Beware the deception of identical records. For whereas the Cougars have had Mike Leach in place for a couple of seasons now, the Hurricanes are going through coaching changes, having fired Al Golden mid-season, leaving assistant coach Larry Scott to serve at the helm in his temporary stead. Incoming head coach Mark Richt will watch from the stands. The Miami players claim they’ll show up motivated, but can these kids overcome the coaching transitions while the Washington State players will enjoy stability? The Bruins surely had much higher bowl aspirations as the season began, and at one point enjoyed a top-ten ranking. Getting upset at home to Arizona State did not help their campaign, though, neither did losing to Washington State, either. The losses to both Stanford and a resurgent USC can be excused. Be all that as it may, they’re in this particular bowl, which lacks the prestige of bowls in the days that follow. Meanwhile, the Cornhuskers are one of those lucky dog teams who, at 5-7, are very fortunate just to get a berth. Why? Because Big Ten fans travel in DROVES. Expect a sea of red in Santa Clara, Calif., and a closer game than the records suggest. You might even take the under on Nebraska. On paper, this is a very marquee matchup between two very good teams. The problem? Both teams feel as though they deserved better bowl games. Last year, the Bears were in the Cotton Bowl, for goodness sake. Meanwhile, as strong as a team as the Tarheels have been, one would think they would have grabbed a more prestigious berth, too. What therefore makes this scenario unique is that BOTH teams will likely come in under-motivated (we’re dealing with 19/20 year-old kids, after all). The question becomes, which team will be less under-motived than the other? Since UNC started out with lower aspirations, they might end up making this game very, very interesting. Tigers vs. Tigers? That alone is intriguing. But the War Eagle variety surely had higher bowl aspirations (they started out the year ranked No. 6) than the variety from Memphis, who turned out to be a surprisingly strong team. Auburn likely views this bowl berth as both a come-down and a quasi-home game at the same time. But Memphis might be glad just to make it to a bowl game, since their postseason appearances have been far fewer than those of their opponent. The Vegas odds favor Auburn by 2.5. That is enough of a margin of error for Memphis to win by a close one, provided they appear with just enough motivation. Late enough for you out east? Regardless, there are varying degrees of motivation with these two teams. If you’re Wisconsin for example, who would not be happy to spend late December in beautiful San Diego? If you’re USC, you’ll be glad to be there after all the coaching and leadership turmoil with which you had to contend earlier in the season. The kicker? That particular turmoil is now behind the Men of Troy. New head coach Clay Helton has clearly righted the ship, and the program is headed in the proper direction again. That’s good. But, he just fired 4 of his assistant coaches. That’s bad, especially when the Trojans only have a handful of practices to prepare for a game with a depleted coaching roster (using grad assistants to fill in some of the roles) while Wisconsin lacks this disadvantage. The Badgers, furthermore, always show up well to bowl games: they are one of the most reliable programs in that regard. The odds-makers in Vegas still give USC a 3-point advantage, meaning that there is potential for an upset. The Seminoles likely see having to play the lowly Cougars, while the latter will likely feel honored to play in such a relatively prestigious bowl game. Should this scenario play out, the respective motivational levels are to be adjusted accordingly, giving us potential for one of the biggest upsets of this bowl season. Since when would a team show up to the Rose Bowl under-motivated? It is the Granddaddy of them all, folks! But in the case of Stanford, they likely had the goal to make it to the playoffs instead. Meanwhile, Iowa is going to their first Rose Bowl in 25 years. To the Hawkeyes, this is a once-in-a-generation Super Bowl. Granted, Iowa is a good team, but Stanford, on paper, is much better. Under normal circumstances, Stanford should win by two touchdowns. But with Iowa being especially focused and disciplined, expect a tough, close game that could go either way. This used to be the Gator Bowl, fyi. Georgia seems to be the stronger team on paper, but they just lost their head coach and will be coached by assistants in this bowl game, while Penn State has stable leadership in James Franklin. Expect the Nittany Lions to therefore pull off the upset, unless the interim head coach at Georgia can effectively rally his troops. 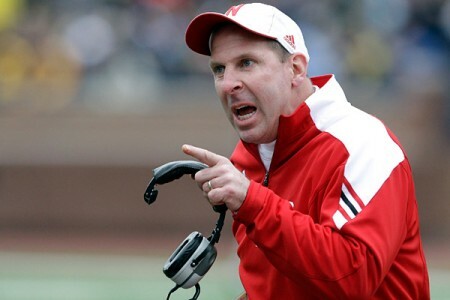 In case any reader has missed the news, Nebraska head coach Bo Pelini has been fired…for going 9-3. Most fan bases would be happy with their team having such a record. Of the fan bases that would not, most would at least tolerate it if they sensed that the program was still headed in the right direction. Of the few remaining fan bases that would not tolerate such a record, let us put them through a litmus test. Test Item A: are you an upper-tier program in the Southeastern Conference? Yes or no? If no, are you Florida State, Southern Cal, Oklahoma, Baylor, TCU or Texas? No? Then the problem is not with your coach, it’s with you. Specifically, it is with “you” in two ways: first and foremost, it is with your school’s geography. Second, it is with your unreasonable expectations in this new era. This includes you, Nebraska, and I shall explain. First, let us point out the obvious: gone are the days of Bob Devaney and Tom Osborne when the Cornhuskers were regularly competing for the national title. For, you might acknowledge, but why? The reason is simple. Thirty years ago, Nebraska was one of the relatively few teams that regularly got on TV. Therefore, if a prized high school football player was being recruited nationally, that recruit had a vested interest to play for a Notre Dame, Nebraska, Michigan or Penn State if he wanted to get national attention. All that changed when college football television coverage started to expand, as it did in earnest starting 15 years ago. All of a sudden, top-ranked recruits with options did not need to go to cold, isolated, academically-rigid schools in order to get on television regularly and earn their fame. Now, with a much-expanded list of school options, they quickly noticed that schools in the Sunbelt did not have the problems of snow drifts in winter, did not have the academic rigidity of most schools up north, and best of all, the co-eds were much prettier. You’re an 18-year old kid who can run a 4.3 in the 40-yard dash, and can pick any school you want. Are you going to go to Lincoln, Nebraska, where it is cold, is isolated, and you have to deal with snowbanks for four months out of the year, or are you going to pick USC or Texas, where it’s 70 degrees in January, and the girls are [mostly] knock-outs? These days, it’s a no-brainer. Second, Nebraska is not exactly the kind of state the produces its own in-state talent. States that do not are at a structural, geographic disadvantage from those that do. Usually, they have to go several states away to get the players they need, be it California, Texas, or even New Jersey. Now that Nebraska is out of the Big XII, their recruiting pipelines to Texas have been largely severed. Moreover, most 17 and 18-year old kids don’t even know who Tom Osborne is/was (heck, they were toddlers when he retired), let alone give a hoot about the tradition of Nebraska’s team, or even Notre Dame’s for that matter. Given that the key to success in college football is talent acquisition, when you have a host of schools that can offer more to prize recruits than you can offer, that puts you at certain structural disadvantages. It is not anybody’s fault per se, but it speaks to the fact that the patterns of life in America themselves have changed. Sorry, but those are the breaks. But that is not all. The other issue is finding good coaches themselves. It used to be, again, in the days of Daveney and Osborne, that being an assistant coach at Nebraska was a relatively plum job, as far as assistant coaching went. Not anymore. To be sure, the Cornhuskers do pay their coaches a bit better than more Big Ten schools (their offensive coordinator, Tim Beck, got a raise in January of 2013 from $365K to $700K), but that’s still chickenfeed compared to what most coaches make in the Southeastern Conference or even at, say, Texas. Again, you’re a coach with options. You have a pretty wife and good-looking kids. Are you going to be able to persuade her to move with you to cold, isolated Lincoln, Neb., when you also have the option of taking her to Tucson to coach for the Arizona Wildcats, to Tempe to coach for the Arizona State Sun Devils, or to Austin to coach for the Texas Longhorns? It’s a surprisingly easy sell to persuade her to let you take an assistant job at TCU, since that plugs you into the Dallas-Fort Worth metroplex. If you take a coaching job at Georgia, that puts you within an hour-plus of Atlanta, and in Athens, Georgia, one of the most ‘happening’ college towns in America. So, wives of assistant coaches, what’s it going to be? Lincoln, or Tucson? South Bend, or Austin? Ames, Iowa, or Atlanta? State College, Pa., or Los Angeles? This, my friends, is the “game within the game” that nobody ever mentions, but plays a huge roll inmany a football program’s fortunes, especially in this day and age. Given all that is working against the Husker Nation’s favor these days, Bo Pelini’s job of going 9-3 is, frankly, miraculous. This is to say nothing of the job he and his staff have done (remember the aforementioned challenges of putting together a good coaching stuff in the Corn State?) regarding player development, because keep in mind of the other aforementioned challenge of not having the pick of the recruiting litter anymore. And yet he was fired, for a 9-3 record this year. Does the deluded fan base of Nebraska think they will be able to do any better than Pelini? If so, who? Granted, the man had a rather abrasive personality, and he could thus easily rub lots of people the wrong way. But behind closed doors, away from the cameras, all coaches can be at least occasionally abrasive. It goes with the territory. So I ask again, whom does Nebraska intend to find that will do a better job than Pelini? The reason I posit this question is, if the Huskers no longer have the first dibs on prize recruits, what makes them think they will be able to attract a prized head coach? Great game no one is talking about: Pittsburgh @ No. 24 Virginia Tech, or, No. 19 Northwestern @ Wisconsin. There are times when in hindsight you know that you should have trusted your instincts instead of trying to out-think the room (which, let us be honest, can never end well. Just ask the NFL when they decided to put the upcoming Super Bowl in frigid New Jersey). Case in point: last week, yours truly tried to out-think the room – against my own better judgement – in prediciting that this week’s “offensive explosion” would be Ohio State @ Northwestern. Yes, it was a good game, worthy of a Musburger-Herbstreit broadcast tandem. And yes, the overall score was not exactly paltry at 40-30 (in favor of the Buckeyes, naturally). But then there was Baylor vs. West Virginia, whose score was so high, we needed our collective oxygen tank (final score: 73-42). What was my main reticence in following my instincts and selecting this game for a more accurate prognostication? The fact that West Virginia has been wildly inconsistent this year. One week they embarrass themselves against Maryland, the next week, they upset Oklahoma State. Right now, we the fans do not know what team we are getting week-to-week with the Mountaineers. All Good Games at Night? Aside from the satisfying SEC slugfest between Georgia and Tennessee in the 3:30 time slot, and the 3-OT shootout between Rutgers and SMU, all the good games this past week were in the evening. LSU vs. Mississippi State (3 out of 4 quarters, at least), South Florida vs. Cincinnati (surprisingly), Ole Miss vs. Auburn, TCU vs. Oklahoma, Kentucky vs. South Carolina (the Gamecocks allowed for it to be a good game, regrettably), Notre Dame vs. Arizona State, Ohio State vs. Northwestern, Washington vs. Stanford, even Louisiana Tech vs. UTEP (!) all turned out to be competitive, engaging matchups. It was one of those nights where you wished you had four or five flatscreens, all right next to each other, so as to enjoy as much simultaneous action as possible. A Tale of Two Rivals. Oklahoma did it the right way. They played a highly respected TCU bunch in a close, hard-fought game, and triumphed in the end, 20-17. There is a school of thought, not one without merit, that states that this is the perfect approach before throwing down the following week with a bitter rival. To follow this line of logic, the Sooners are well-prepared for the Red River Shootout this upcoming week. On the other side of the coin is Texas, who thought that they could beat up on Big XII lightweight Iowa State as a tune-up. As things turned out, they needed not one, but two scandalous calls by the referees to get their behinds out of some seriously hot water (basically, two “gift” calls of not recognizing fumbles as actual fumbles). Let that sink in for a moment.